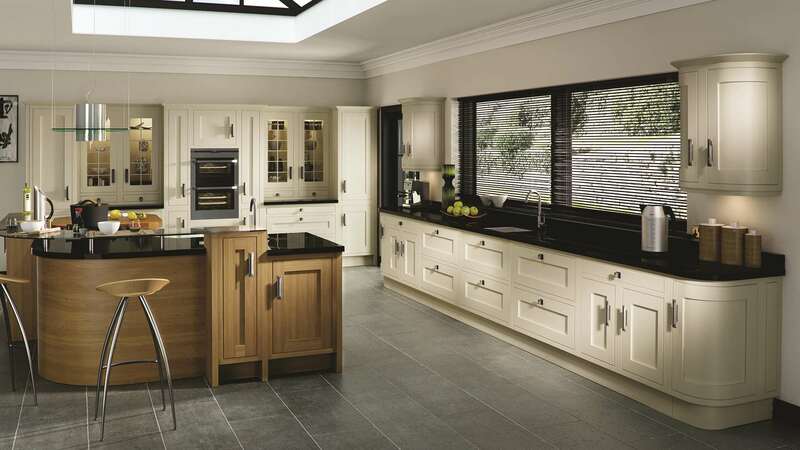 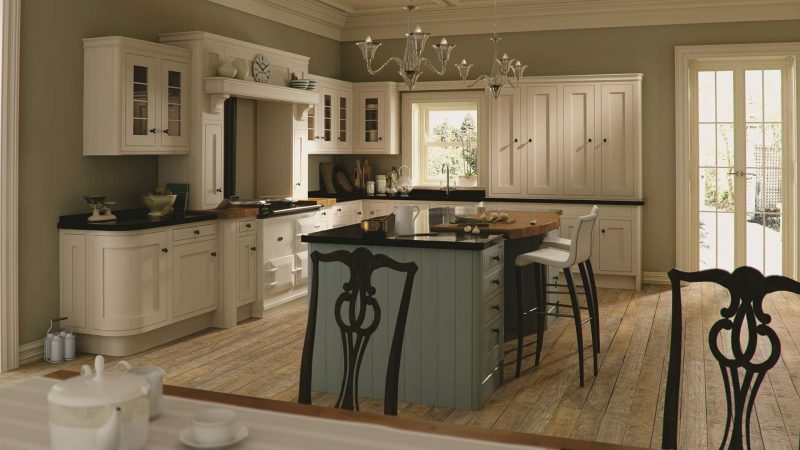 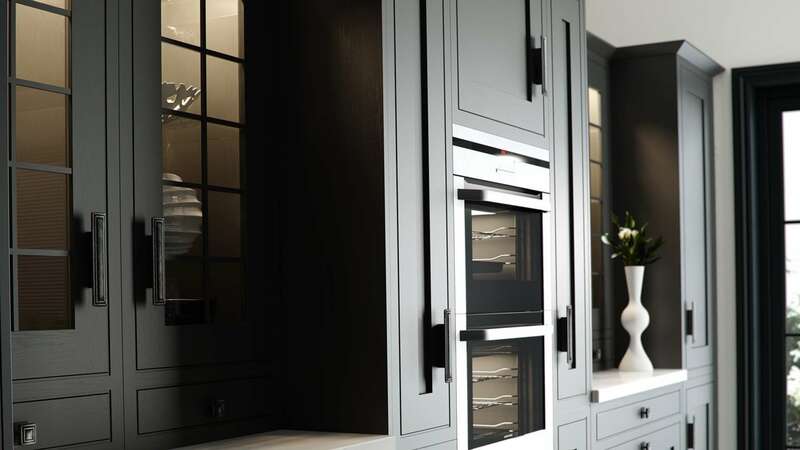 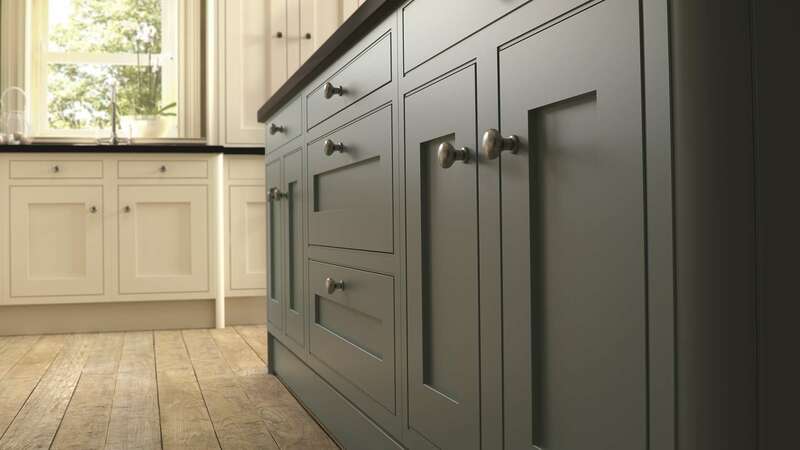 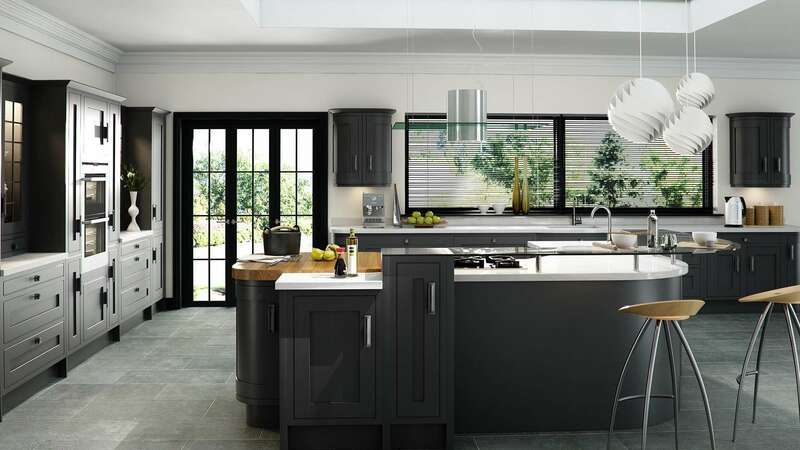 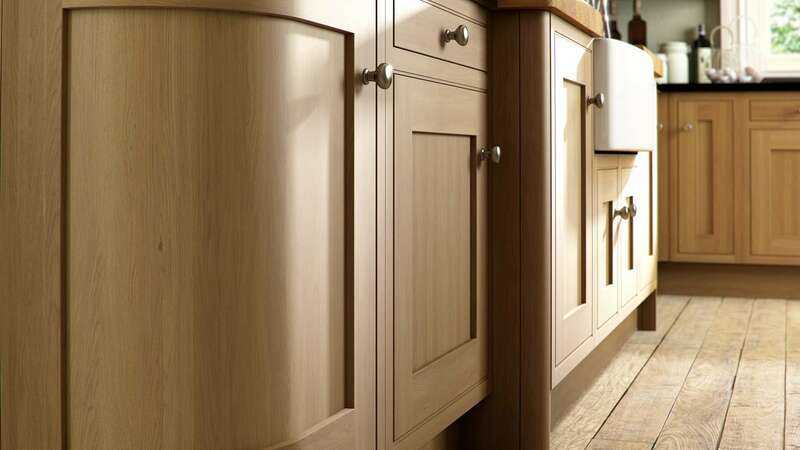 Whether you opt for the Iona Inframe kitchen in light oak and painted olive, or in painted graphite you will not be disappointed. 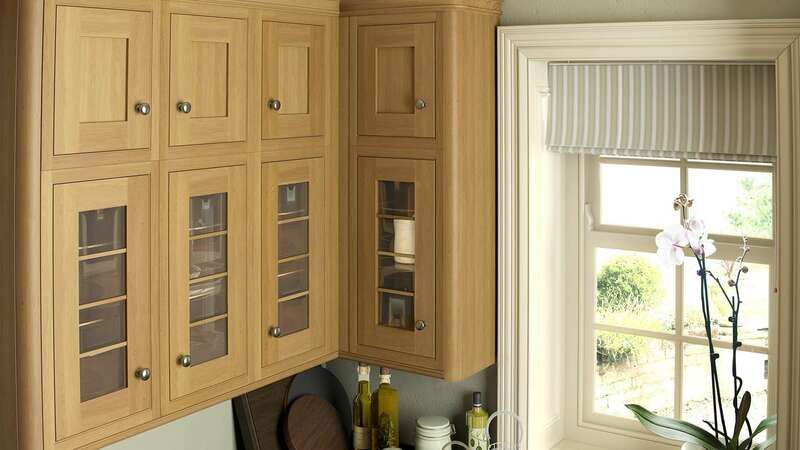 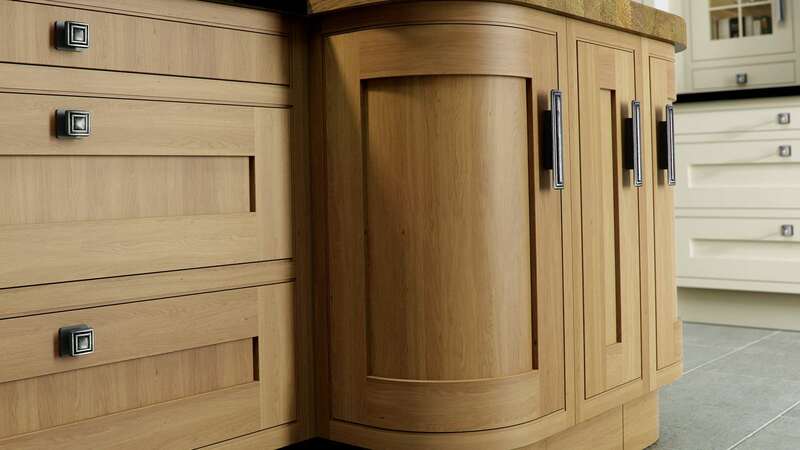 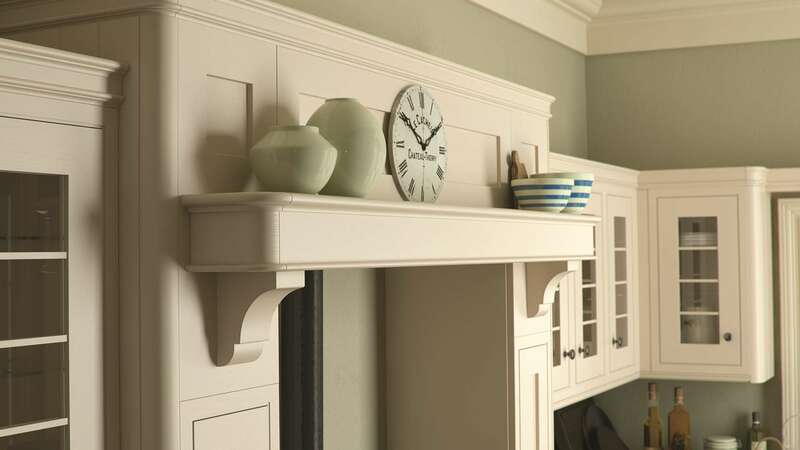 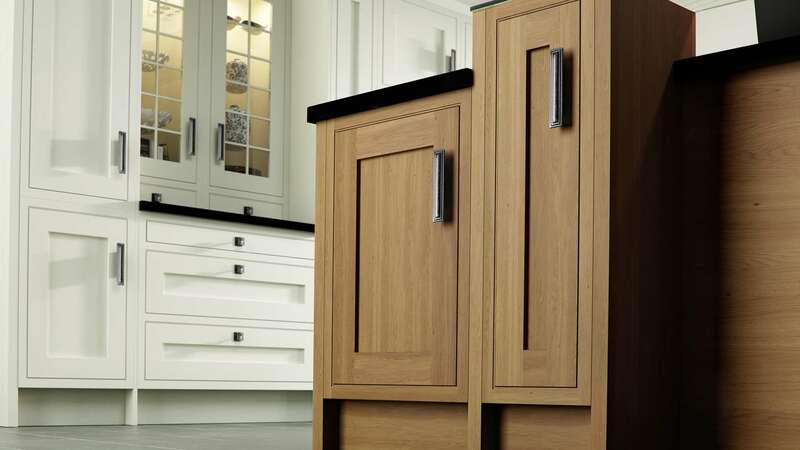 Solid European oak door frames are designed with veneered, fancy, flat panels. 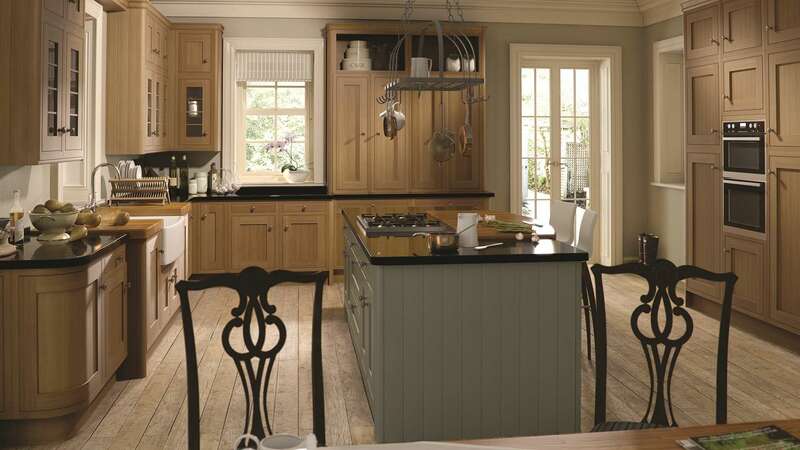 This superior kitchen is of the finest quality and features an irresistible island with a glowing glass work surface.